Whether you're in the planning stages of your Salt Lake getaway or you're already here visiting, our free Tourism and Trip Planner is where you'll find guides to events, restaurants, hotels, discounts, things to do, insider tips and much more. 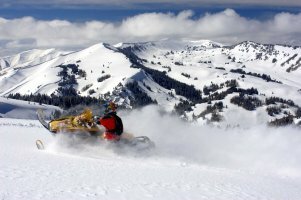 Start by viewing our List of Utah's Ski Resorts, Their Official Sites. Our goal is to make your visit more enjoyable by providing updated information. Readers of Ski and Skiing Magazines consistently rank Alta at the top in the U.S. for powder, snow quality, terrain and value. 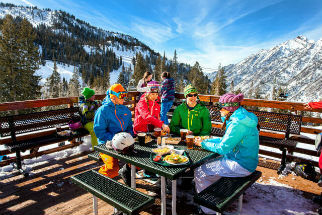 Ski Magazines have ranked Alta - Snowbird the #1 Resort in North America. Located just 40 minutes from the Salt Lake International Airport, Alta is one of the most accessible ski areas in North America. Brighton is all about the big three: snow, terrain, and value! The mountain averages 500 inches of snow a winter. The snow is traditionally light, fluffy and dry making it a paradise for riders and skiers. Brighton is located directly in the path of winter storms and it is also at the very top of Big Cottonwood Canyon so it gets the very best of the "greatest snow on earth," and lots of it. Night Skiing - Yes! - 4 Terrain Parks - Yes! Snowbird averages approximately 500 inches of low-density, "dry" Utah powder annually. Thanks to ideal geography and a phenomenon called Lake Effect, Little Cottonwood Canyon powder is known worldwide. Snowbird is 29 miles from Salt Lake City International Airport with more than 600 daily non-stop flights from most major U.S. cities and 25 miles from downtown Salt Lake City. 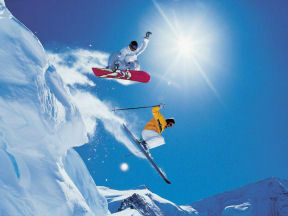 Snowbird is a scenic 45 minute drive from the airport, making same-day skiing and flying a reality. 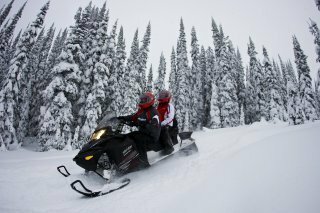 A year-round, family-friendly destination, receives more than 500 inches of the "Greatest Snow on Earth" every year and is located just 40 minutes from the Salt Lake City International Airport. Deer Valley Resort is also consistently ranked #1 in the individual areas of dining, guest service and mountain grooming. Deer Valley is more than a winter resort, it's an experience. Since opening in 1981, Deer Valley Resort in Park City, Utah has become known for its revolutionary approach to ski area service. Committed to providing a level of care rarely found at a ski resort; delivering classic, consistent, and quality service both on and off the mountain. Skiing in Park City at Deer Valley is an event the whole family will remember. This ski season, when planning your winter vacation, we would welcome the opportunity to host your own Deer Valley experience. America's Largest Single Ski And Snowboard Resort, located in the heart of Park City, Utah, only a 35 minute drive from Salt Lake City International Airport. Park City is home to over 7,300 skiable acres with a good mix of beginner, intermediate and advanced terrain. During Summer 2015, the Resort undertook the largest resort improvement project in the history of American skiing, one that linked it with neighbor Canyons Resort to create the United States' largest ski area. Park City bustles with activities year round with two distinct base areas, nine hotels, thrilling family adventures, and more than two dozen restaurants. Park City is the largest ski area in the United States. With over 7,300 acres, 300+ trails, 38 lifts, seven terrain parks, 14 bowls, six natural half pipes, one super pipe and one mini pipe, plus many diverse ski-in/ski-out and village adjacent lodging properties, Park City is an easily accessible, world-class mountain destination located in an authentic & historic western town. ummer of 2015, the Resort undertook the largest resort improvement project in the history of American skiing, one that linked it with neighbor Park City Mountain Resort to create the United States' largest ski area. 23 miles from Provo, Utah, 57 miles southeast of Salt Lake City. 27 miles east of Logan Utah, 107 miles north of Salt Lake International Airport. 19 miles northeast of Ogden, Utah, 55 miles north of Salt Lake International Airport. 33 miles north of Salt Lake International Airport in Huntsville, UT. 4 hours ( 245 miles ) south of Salt Lake City. 3 hours north of Las Vegas. Visit Utah's on-line version of our Utah guide was created to bring you the best that Utah has to offer - reviews, tips, discounts and coupons on hotels, condos, golf, restaurants, activities and attractions, all with one goal in mind, to get you the latest information for your upcoming visit to Utah.